Some might say I am a little bit obsessive with Foursquare … and that might be true. Yes, I have checked in everywhere and anywhere for the past 2 1/2 years. Yes, I spent an entire weekend in 2010 on a quest for badges (extensive blog post coming someday). Right away I loved the game mechanics and the perfect combination of curation, discovery and random serendipity of the location based app. I want each update to give me better tools to find the best dish on the menu, locate the coffee shop with free wifi and help me discover the secrets of every new neighborhood. Basically you earn coins and crystals for checking in and spend your loot on acquiring locations. Once you own a property you not only collect rent, but must maintain the properties and can develop them to add to their value. Watch out, other stealthy players will try and spin the wheel to nab your prized properties. 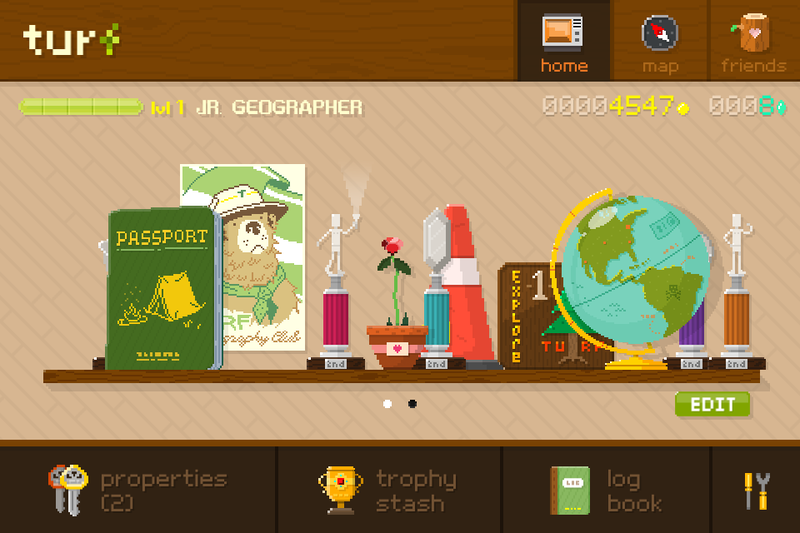 Of course, you win trophies as you gain experience and add to your virtual real estate portfolio. Also, it seems like the game offers plenty of opportunity for the developers to add to the experience and make Turf even better. Initially the user interface and learning curve offer a bit of a challenge, but a little gameplay and trial-and-error will have you navigating the app like a pro. Right now they aren’t that many people playing and since Twitter has been blocking apps from helping you discover your friends, it’s hard to find your people. However, I know a couple of fellow obsessives who are playing so it has been very fun so far. 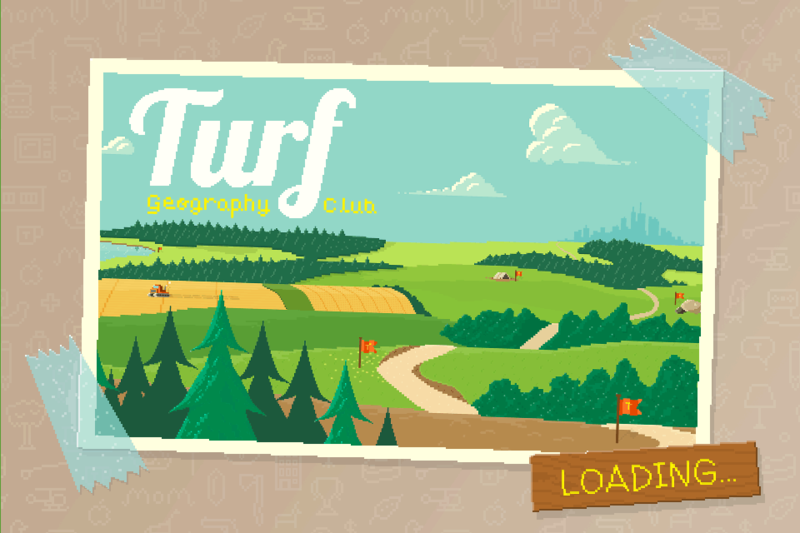 While I love Foursquare apps that are baked into the core app, Turf is a standalone app, but it’s worth your time to open it up and play real estate mogul. And the retro Ranger Rick/Smokey the Bear graphics are pretty cool indeed. 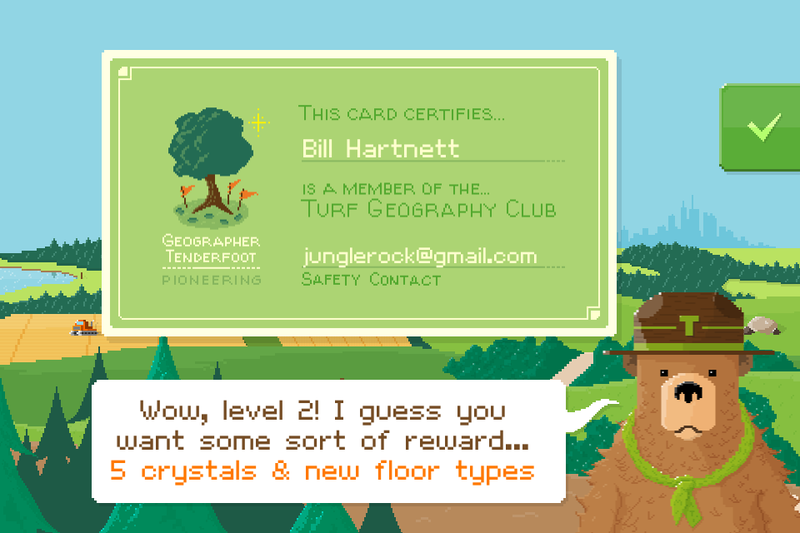 So I am calling on all Foursquare obsessives to check out Turf. Download the app and start buying up your neighborhood. I would love to see you there!